A couple of our free releases are now also available on Alonetone.com, the brand new "damn fine home for musicians". Check out our stuff here. 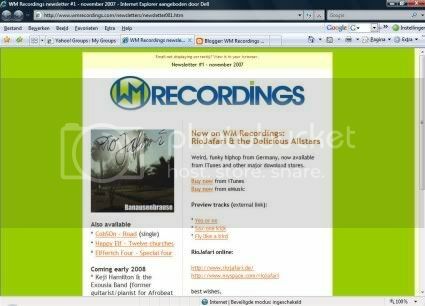 An interview about the past, present and future of WM Recordings is now online at Guitarati.com: http://blog.guitarati.com/2008/04/its-my-goal-to-create-platform-for.html Don't forget to check out the interviews with Panicphobia and RioJafari & the Delicious Allstars as well. 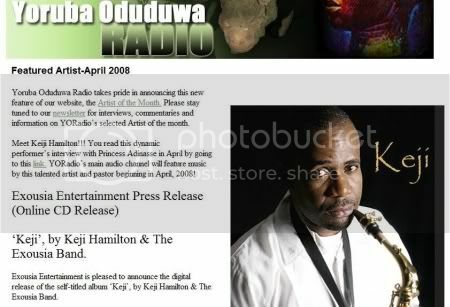 Keji Hamilton is the featured artist this month on Yoradio.org. An interview with Keji can be found here. 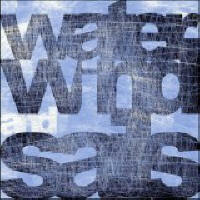 We're preparing some big changes for WM Recordings, which will be unveiled in the months ahead. 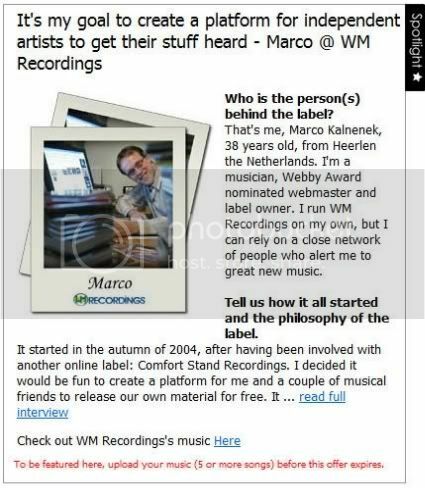 One such thing is the official WM Recordings Newsletter. You can subscribe by sending a blank e-mail to wmrecordings-subscribe@yahoogroups.com OR you can read the first edition online by clicking here. And yes, that's our new logo at the top of the newsletter!